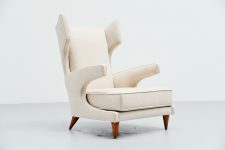 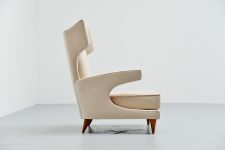 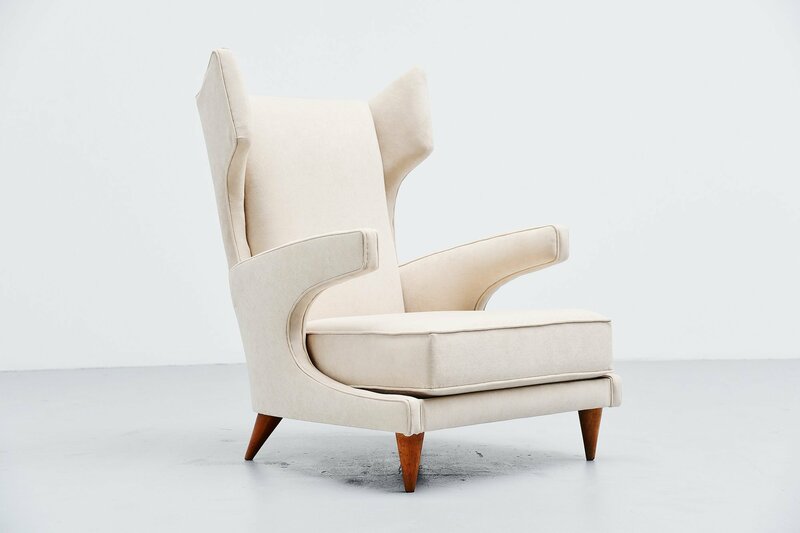 Very nice sculptural wingback low lounge chair attributed to Paolo Buffa, Italy 1950. 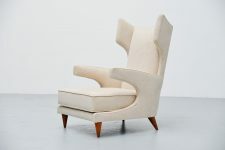 This chair has an amazing shape, wingback design. 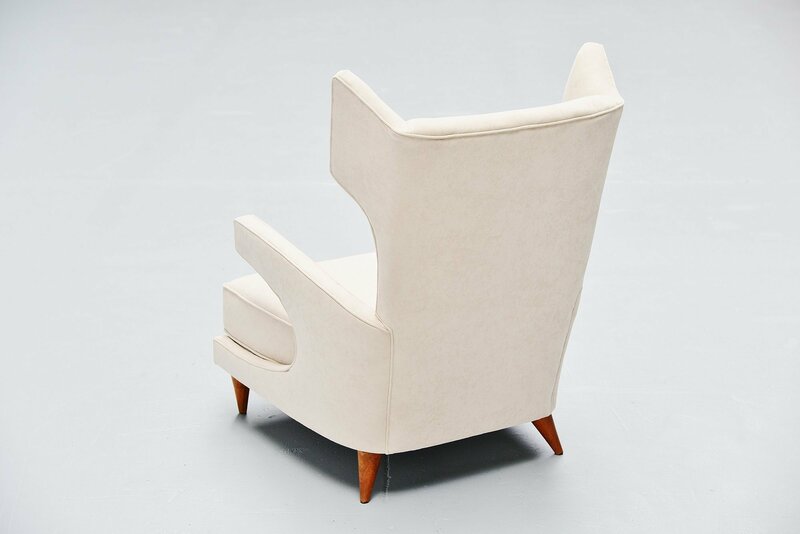 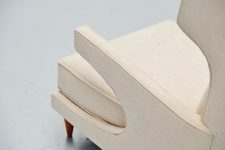 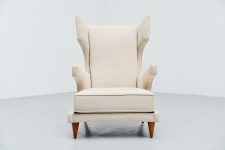 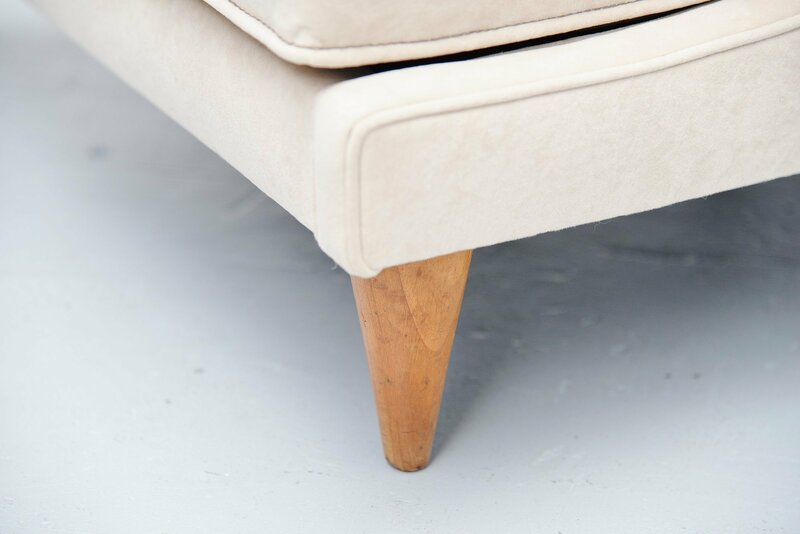 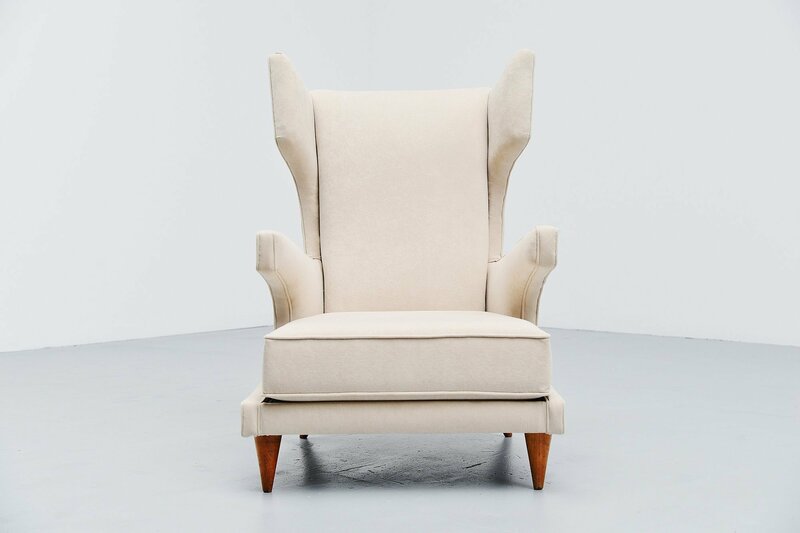 Low lounge chair with beech wooden feet and newly upholstered with cream velvet upholstery. Sophisticated design, typical Italian. 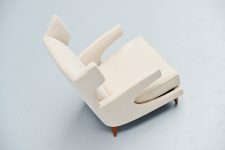 Comfortable lounge chair that would look great in any modern home or interior.